Several species of butterflies that have not been exhibited at Powell Gardens will be featured at the 20th Annual Festival of Butterflies, which is open August 5-7 and 12-14, 2016. Horticulture Director Alan Branhagen took these photographs inside the conservatory where just a few butterflies are fluttering about. 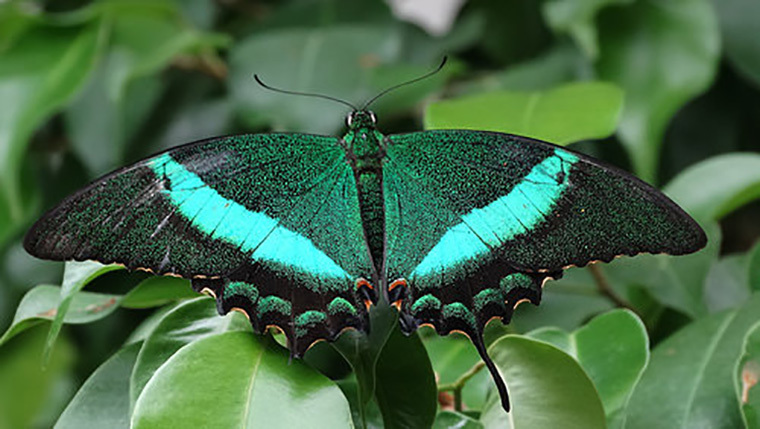 Pictured above is the Emerald Swallowtail, one of a few known green butterflies. The bands on the top of the wings appears emerald green, blue or even yellow depending on the lighting. The color is structural or iridescent and not from pigment. The undersides of the wings are quite different (see below) and are comprised of dusty grays with some blue and orange dots on either side. 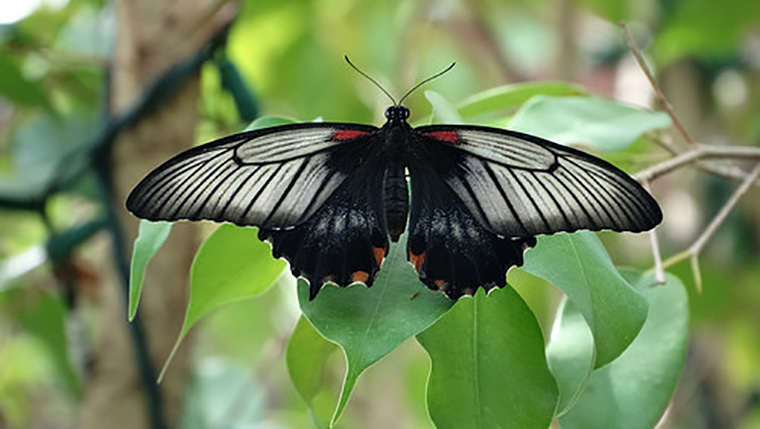 Another butterfly making its first appearance at the festival is the Scarlet Mormon Swallowtail (pictured below), a large, tailless swallowtail from Southeast Asia. Several different wing patterns have been discovered in the females of this species. 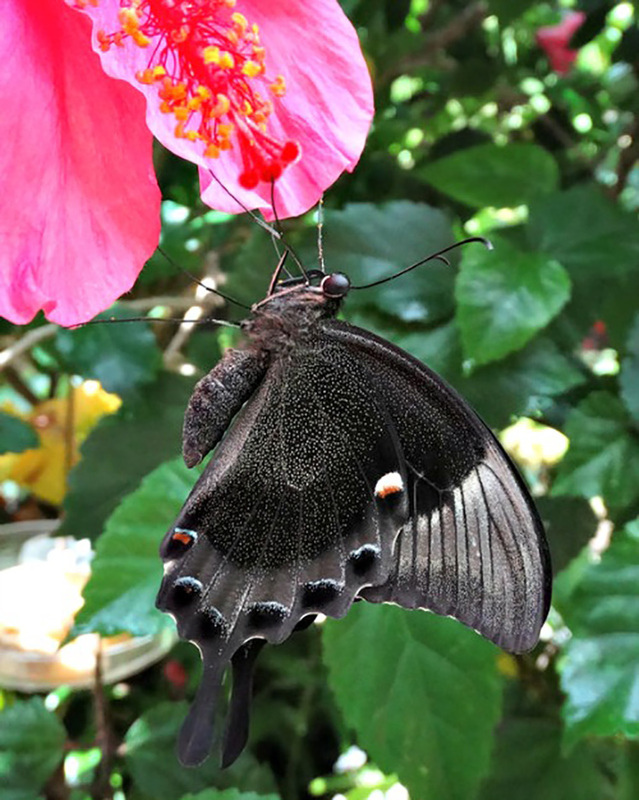 This polymorphism, which is restricted to the females, is thought to help protect the butterflies because the patterns mimic other species that are unpalatable to predators. We hope you will join us for the 20th Annual Festival of Butterflies. It’s open the first two weekends in August: 5-7 and 12-14. Visit powellgardens.org/butterfly for details.